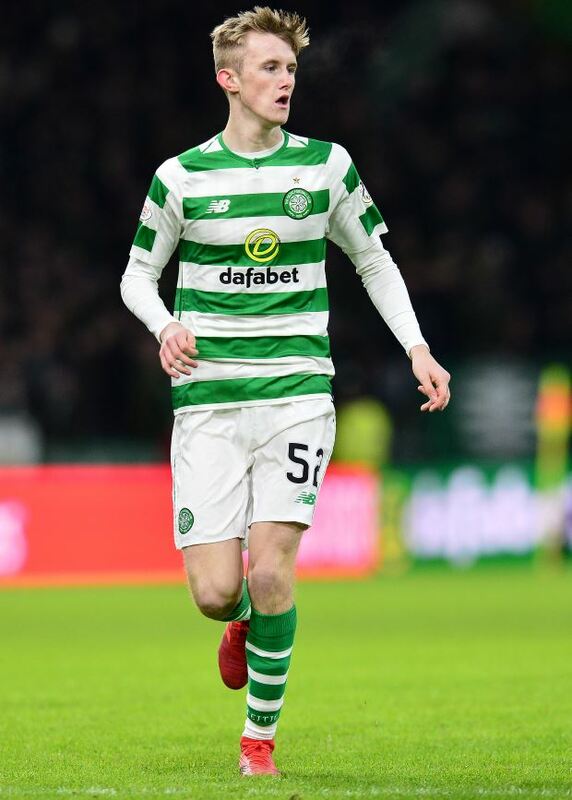 Celtic talent Ewan Henderson has revealed the players he looks up to while training with the first team and insists he must work hard to reach the levels attained by the academy graduates at Parkhead in recent years. Henderson, who is a product of the academy at Celtic, has penned an extension with the club in a deal that will keep him at Parkhead at least until 2022. The midfielder made his second appearance for the first team when he replaced Ryan Christie during the win over St Mirren last week and capped off his display with an assist for Timothy Weah. And just after signing a new deal with the Scottish champions, Henderson has revealed the players he looks up to while training with the senior team at Parkhead. The 18-year-old admitted it is a great opportunity to learn from the likes of Callum McGregor, James Forrest, Scott Sinclair and Christie and revealed he looks up to them due to their successful careers. “It’s really good, looking at players like Callum McGregor, James Forrest, Ryan Christie and Scott Sinclair”, Henderson told Celtic View. “I look at how they play, and learn from them. "They’ve done so much in their careers, they’ve played at the highest level, so it’s great to look at how they play and learn from the what they do. Henderson also insisted that he must now put his head down and work incredibly hard to reach the same levels attained by some of the successful academy graduates at Celtic in recent years. “Looking at the players who’ve come through the Academy and are now in the first team, it’s really inspiring”, he added. “They’ve all done incredibly well and they’re great role-models for every young boy that’s also come through the Academy to look up to. "It’s really good that they’re there, and helps us keep focused. Henderson has earned two caps for Scotland Under-19s since making his international debut earlier this season.